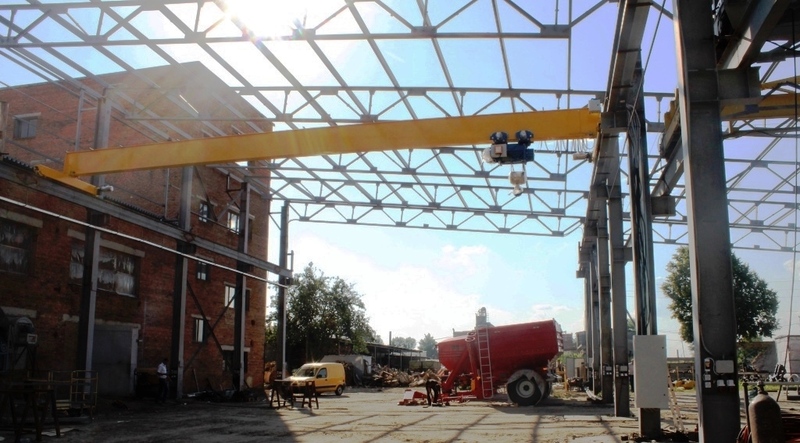 At one of the largest Ukrainian enterprises for the production of modern agricultural machinery, which is one of the world leaders in this field, the «Kyiv Crane Machinery Plant LLC» was supplied with a support single-girder crane KMO-8.0-16.85-7.0-A5. 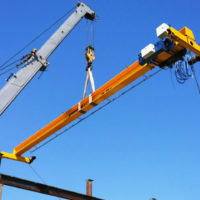 speed of the crane - nominal 30.0 m / min, lowered 10.0 m / min. 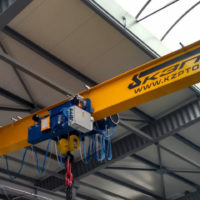 The new crane is equipped with an electric hoist and end beams of type GО, manufactured by the leading European manufacturer - the company "Podem" (Bulgaria). 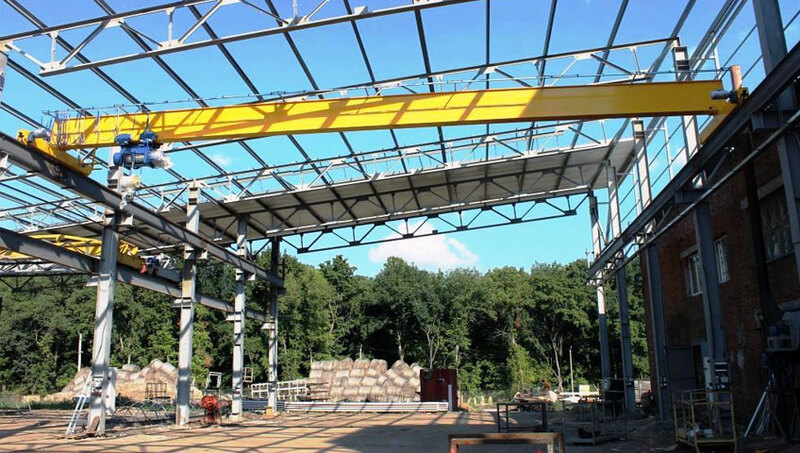 The span bridge is a powerful box-type welded beam manufactured by the KZPTO. 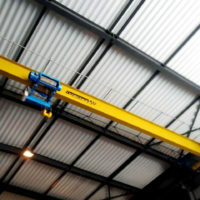 Current leads to the crane and hoists - cable, type Festoon. 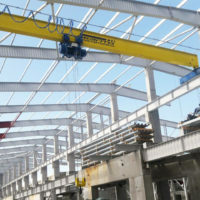 The crane-beam is equipped with a load limiter, light and sound signaling, limit switches for hoist and crane movement, and lifting and lowering of hoists. 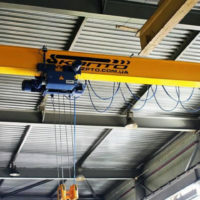 The control of this lifting mechanism is carried out with the help of a suspended radio control panel. 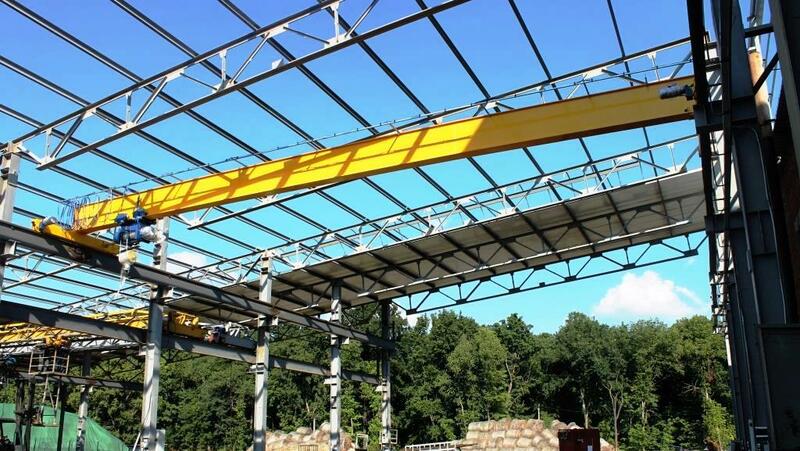 This crane with a lifting capacity of 8 tons was designed and manufactured in a 30-day period in accordance with the technical task of the Customer and the technical conditions of the KZPTO for the manufacture of bridge single-girder support cranes. 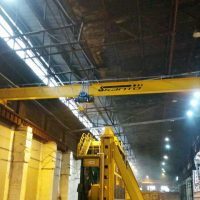 Before shipment, the crane passed the control assembly at the factory, thanks to which it was installed, tested and put into operation literally within one day. As of today, it successfully fulfills all the previously planned needs of the Customer, thereby significantly accelerating the technological process of the whole production. 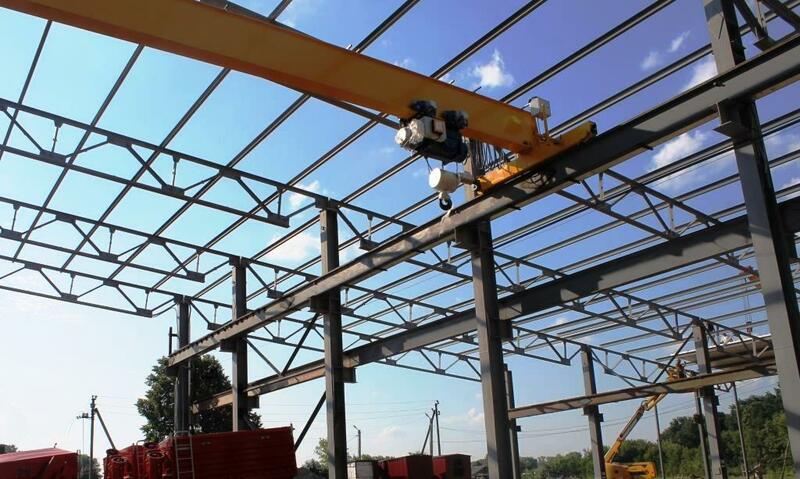 The high quality of the delivered hoisting equipment serves as a reliable foundation for the development in the future of mutually beneficial and long-term relations between the Customer and the «Kyiv Crane Machinery Plant LLC».